Meg Meeker, M.D., acclaimed author of Strong Fathers, Strong Daughters, now turns to an equally powerful relationship in the family: the one between mother and son. From the moment a mother holds her newborn son, his eyes tell her that she is his world. But often, as he grows up, the boy who needs her simultaneously pushes her away. Calling upon thirty years of experience as a pediatrician, Meg Meeker, M.D., a highly sought after national speaker, assistant professor of clinical medicine, and mother of four, shares the secrets that every mother needs to know in order to strengthen — or rebuild — her relationship with her son. Boys today face unique challenges and pressures, and the burden on mothers to guide their boys through them can feel overwhelming. This empowering book offers a road map to help mothers find the strength and confidence to raise extraordinary sons by providing encouragement, education, and practical advice about. When a mother holds her baby boy for the first time, she also instinctively knows something else: If she does her job right and raises her son with self-esteem, support, and wisdom, he will become the man she knows he was meant to be. Meg Meeker, M.D., has spent more than thirty years practicing pediatric and adolescent medicine and counseling teens and parents. Dr. Meeker is a fellow of the National Advisory Board of the Medical Institute, is an associate professor of medicine at Michigan State School of Human Medicine. A popular speaker and bestselling author of several books, including the national bestseller, Strong Fathers, Strong Daughters; The 10 Habits of Happy Mothers; and Boys Should Be Boys. 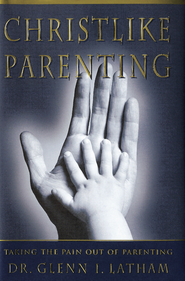 In 2012, Dr. Meeker released Strong Fathers, Strong Daughters: The 30-Day Challenge, the highly-anticipated follow-up to the original bestselling title. A popular speaker on pediatric health issues and child-parent relationships, she is a frequent guest on nationally syndicated radio and television programs. She works with the NFL Fatherhood Initiative and spoke at the UN in 2016on family issues. Dr. Meeker lives in northern Michigan, where she shares a medical practice with her husband, Walter. They have four children.